Motorcycles are great forms of transportation, but they aren´t just for that. They can also be used for a fun adventurous weekend or for more formal sports competitions. 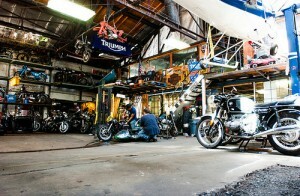 There are many types of motorcycles and each can be specialized to serve a different purpose. Since not all are adapted for all circumstances, it is important to take into consideration what you want to use your motorcycle for before choosing one. With this in mind, we want to briefly introduce some of the most known classifications for motorcycles. As we already mentioned, the first thing you need to consider is what you want to use your bike or motorcycle for. There are different types of categories. Usually they can be divided into several types but in general, there are the regular motorcycles that include standard, sports, touring and cruiser bikes. Then, there are the off-road bikes also known as dirt bikes and finally, the subcategories which are not always considered motorcycles but rather close relatives. These would be the scooters, underbones, and mopeds. One thing they all have in common is that they all require regular maintenance and proper care. This includes checking the tires and brakes, maintaining all fluid levels and other regular inspections such as oil checks. Just like it is crucial to check and change the oil in other vehicles, changing the oil on your bike, regardless of what type you have, is quite necessary. This will ensure that the engine stays in good shape and that your bike performs well. Since synthetic oil offers superior protection and more coverage, it is to your advantage to use a good quality synthetic oil. AMSOIL synthetic oil offers outstanding friction protection and infallible performance for a prolonged period of time. Contact Power Sports Oil today and obtain the best products to care and protect your bike no matter what type. Standard. Several subcategories can fall into the standard bikes but most of them are the regular types that are used for the city and normal traffic conditions. These types of bikes are generally for street use and are normally not very expensive. Cruiser. Some consider these bikes to be more stylish. They are well known for the Harley Davidson machines that largely make up this category. These type of bikes are less demanding when riding and since they have the handles high up it is easy to keep a straight and more relaxed position when riding. Sports. What distinguishes these bikes from the rest is the outstanding and much more accelerated engine performance that they can deliver. The brake and handling also need to be superior and much more efficient. These motorcycles tend to have great braking and suspension systems that are necessary for the higher speeds they reach. Many also windscreens to help deflect the air when accelerating speeds are sustained. Touring. These motorcycles are normally more large and comfortable than other types of bikes. Their engines and structure are more well-adapted to longer rides and distances. This also means that their fuel capacity is greater in order to go longer between fill-ups. Off-road. There are different types of bikes that may fall in this category but what they all have in common is that these type of bikes are not usually for paved roads. Rather, they are more for trails and tricky tracks. There are three types of racing that these bikes are usually used for motocross, road racing, and track racing. Yet, they can also be used for just cruising around trails and fun outdoor adventures. Dirt bikes and other types of off-road motorcycles have adapted tires and more efficient suspensions because of the conditions they are made for. Scooters/underbones. These type of small motor vehicles have a smaller engine size than most motorcycles. Scooters tend to also have smaller wheels than motorcycles and underbones have a footpeg instead of a footboard as well as bigger wheels than those of scooters. However, underbones also have engines that are less powerful than those of a regular motorcycle. Whether you want a motorcycle for the weekend hikes or one for everyday use on the streets you need to keep it in top shape and great conditions. Use AMSOIL synthetic oil in every synthetic oil change and experience the empowering difference today. To get a hold of the best AMSOIL products call Power Sports Oil now at (510) 351-8500.